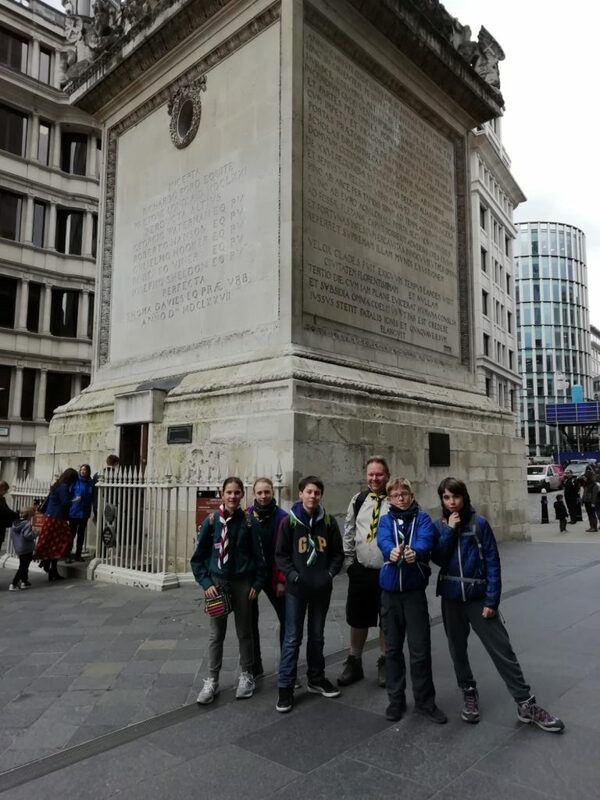 On the first weekend of March, some Scouts and Explorers from 1st Madrid Bristish Scouts flew to London to participate on the BSO London Monopoly Run “Live”. 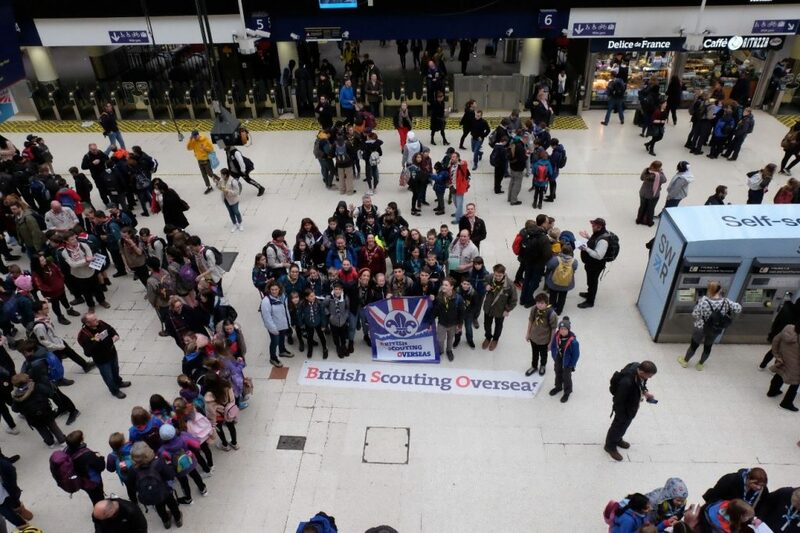 1st Madrid Scouts met at Barajas Airport in Madrid as our flight was at 17h but in the end was delayed until 17.35h. 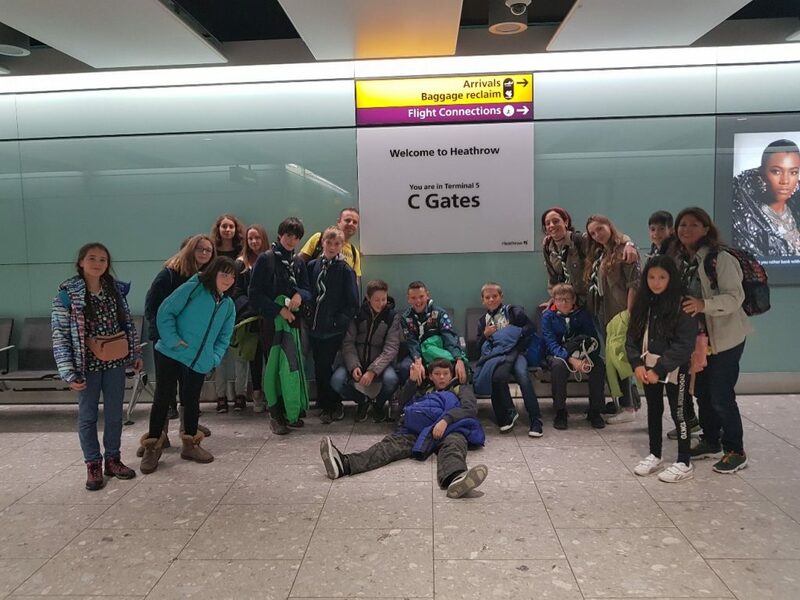 After two and a half hours we arrived in London at Heathrow Airport. 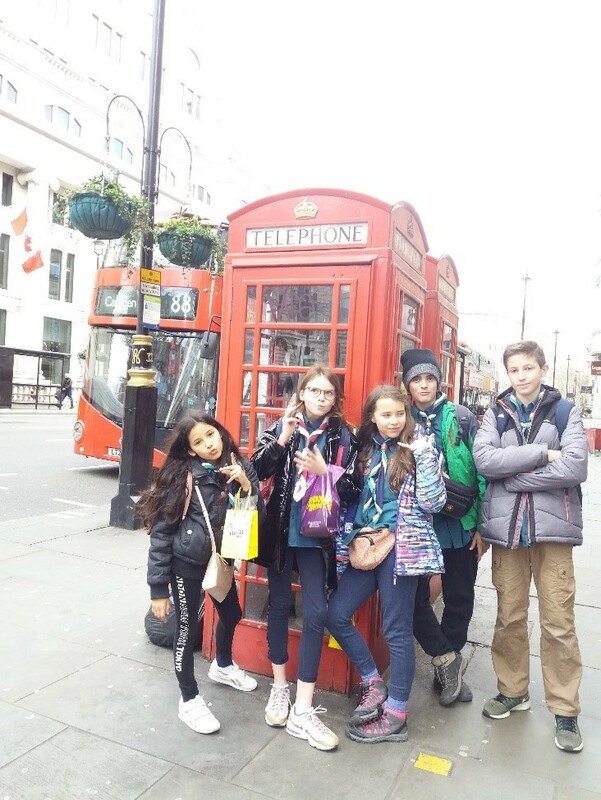 Unfortunately, Cristina our parent helper´s checked bag never arrived and as a result we had to stay longer than expected to fill out forms. 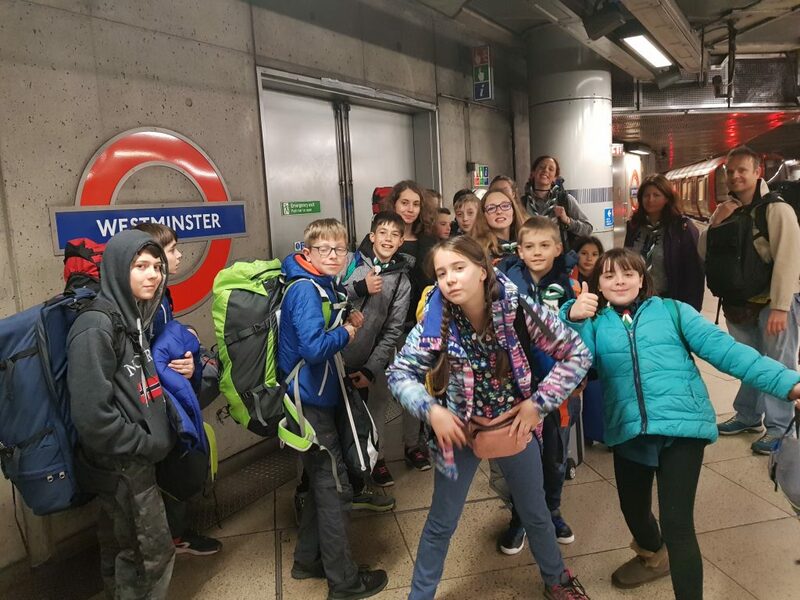 We took the tube (metro) from Heathrow to Westminster Metro Station. 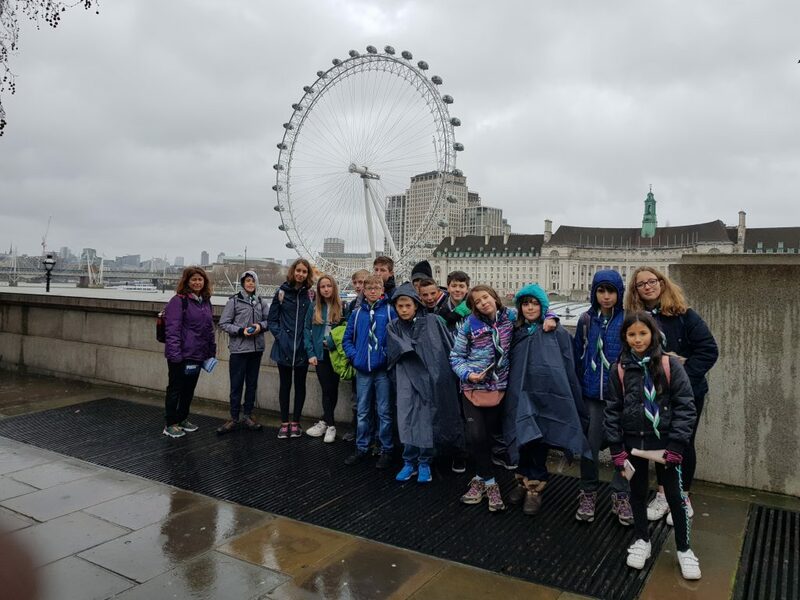 Once at Westminster, we had the chance to have a look at the River Thames and the London Eye at night before walking the last 9 minutes to our accommodation at St. Andrew´s Centre. We arrived at about 22.20h and were received with open arms by the coordinator Nathan. 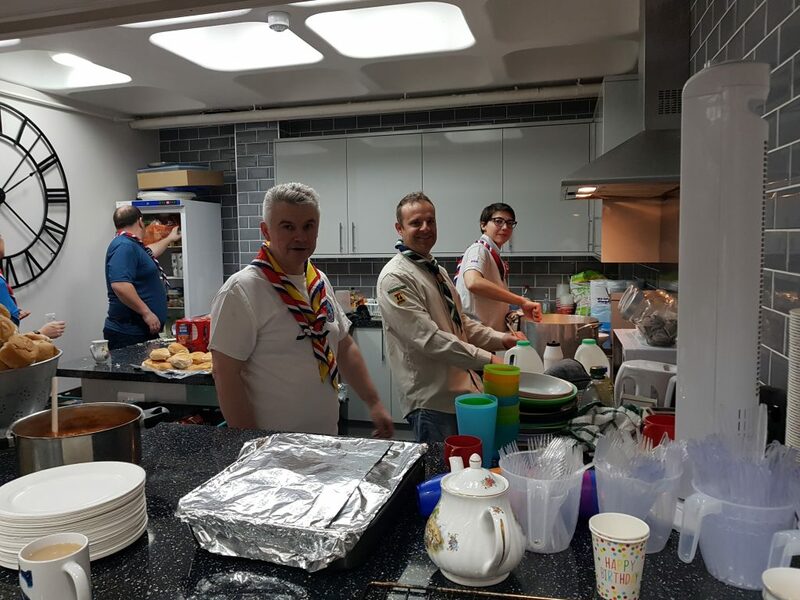 Him and the other leaders had prepared a delicious pasta with Bolognese sauce for us. 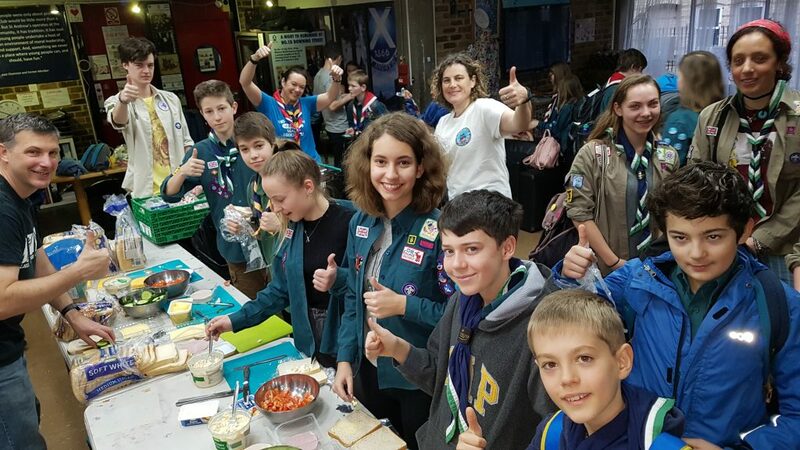 After that, the kids met the other Scout groups which included the troops of 1st Brussels (Belgium), 1st Chantilly (Paris, France) and 1st Prague (the Czech Republic). 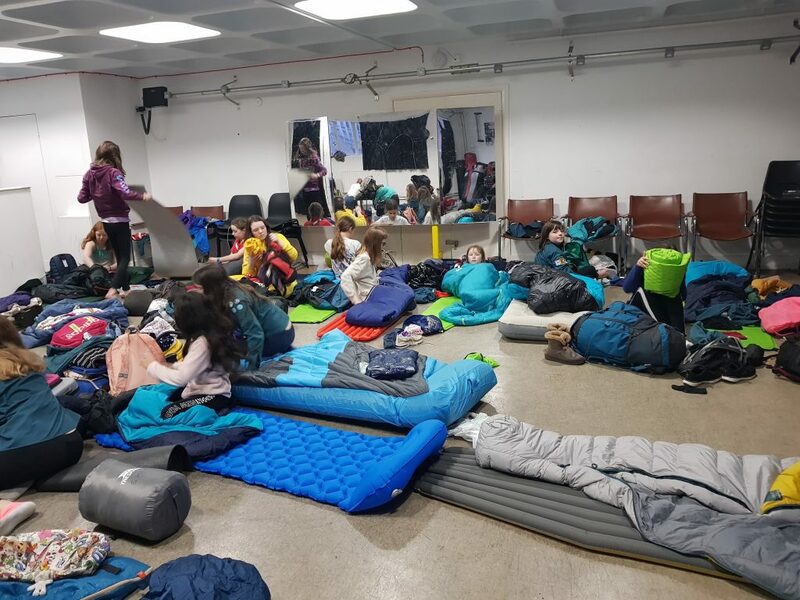 The Scouts set up their beds for the evening and took a while to settle down to fall asleep. Today was the day that everyone had been waiting for, the day of the Monopoly Run. 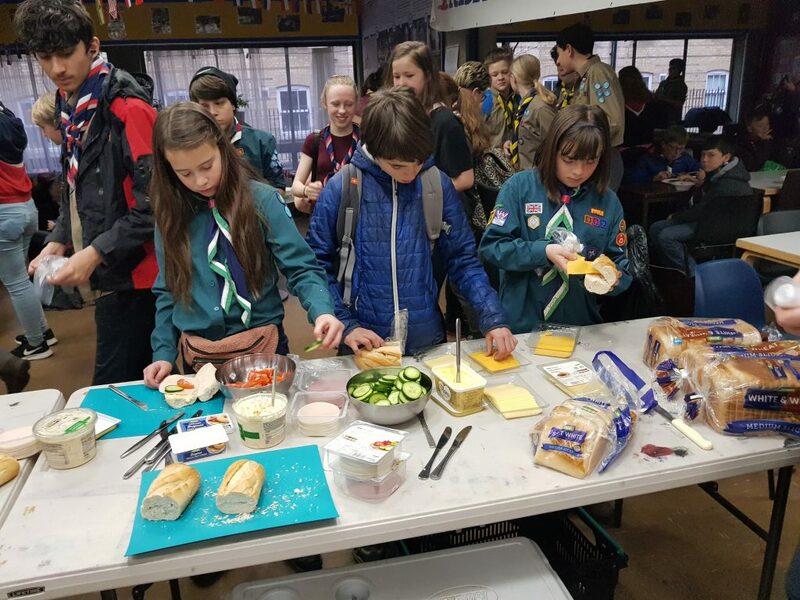 We got up early, had a full breakfast, packed our lunch for the day and went in our team groups to Waterloo Station. At 9.30h sharp we began the Monopoly Run. 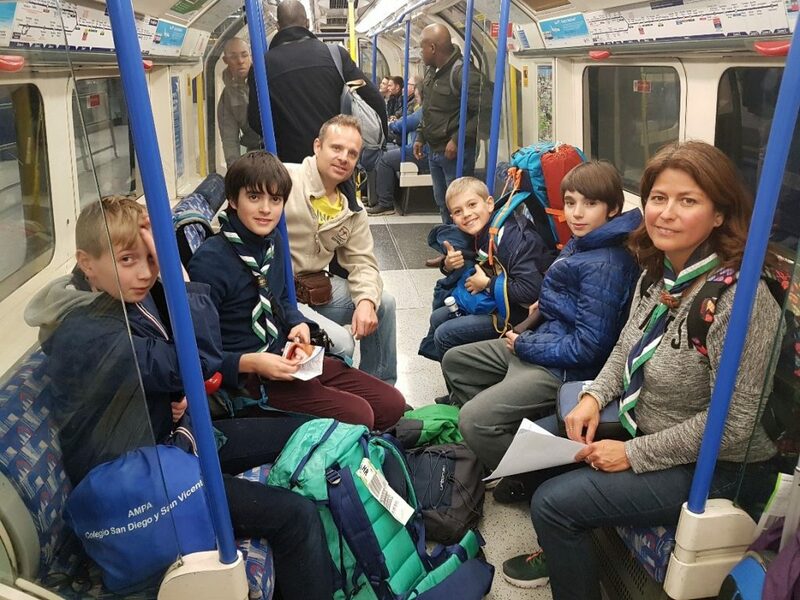 It was a very busy and intense day as all groups went all around London via public transport to try to be the first ones at the locations to buy the property so that they could collect rent from the others arriving after them. An app was used via GPS to prove that the team had in fact arrived at the spot and was awarded points in pounds and deducted pounds in rent. 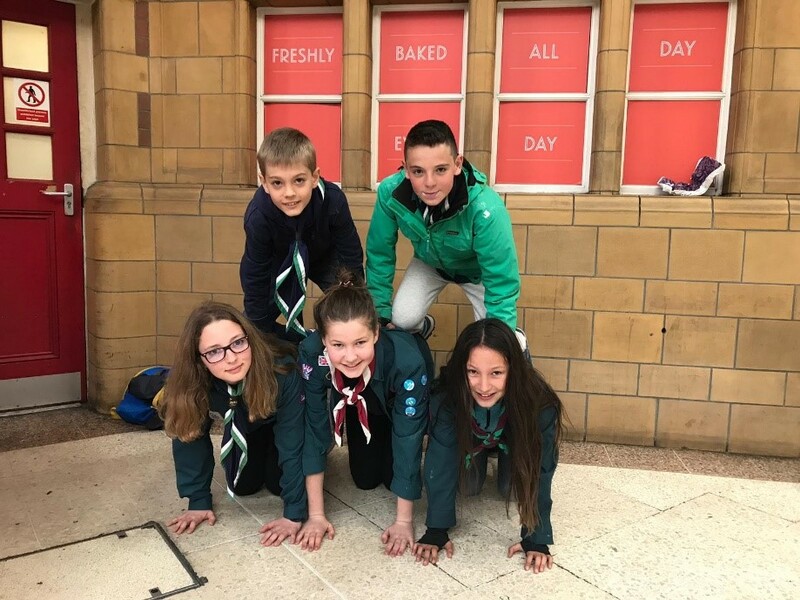 There were also various challenges sent on the app during the day to earn extra points such as having your group´s picture taken with a street performer or making a pyramid with your team. Along the way the kids found various delicious spots to stop at like M & M World, Starbucks and other treats or stores along the way. 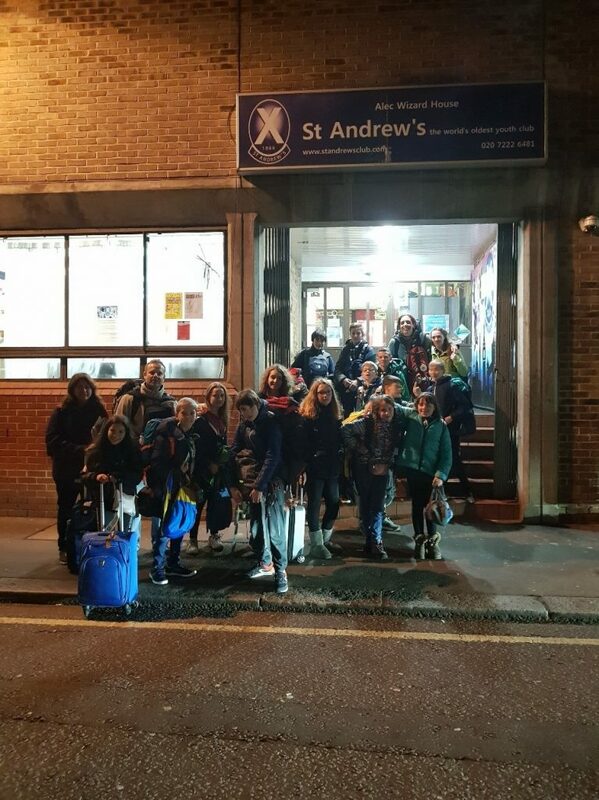 At 17h the Monopoly Run came to a close and everyone exhausted but happy made their way back to St. Andrew´s Centre for the evening. 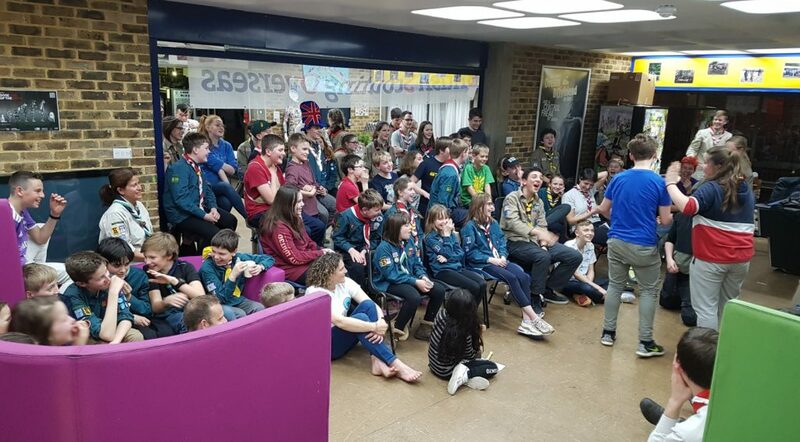 That evening back at the Centre there were burgers and hot dogs for dinner and the Scouts and Explorers provided entertainment with a Scout´s Got Talent Show. Then it was off for well deserved showers and bed. 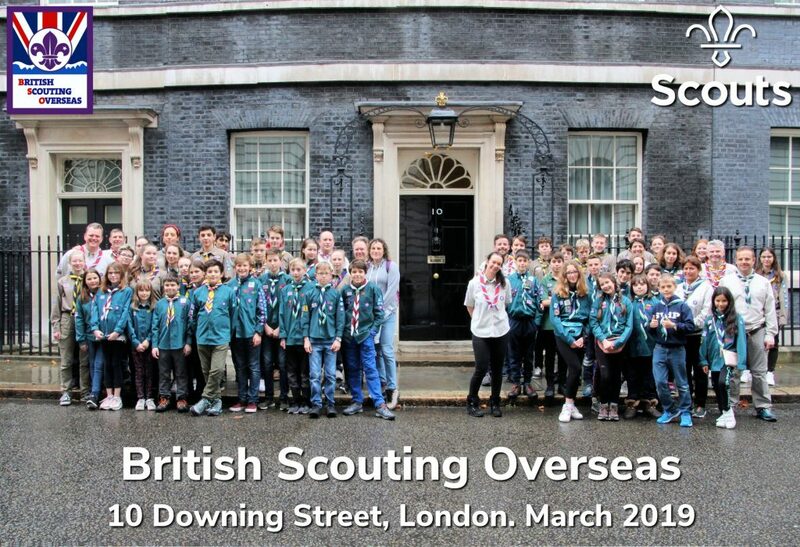 We were informed that we had a special invitation to have photos taken at 10 Downing Street at 9.30h and 10h so we made our way there and took some group photos along the way. It was a great experience as not everyone can have their photos taken there so we felt very lucky! After the photo shoot under cloudy skies we said farewell to the new friends that we had made as the other troops had to head off back home. 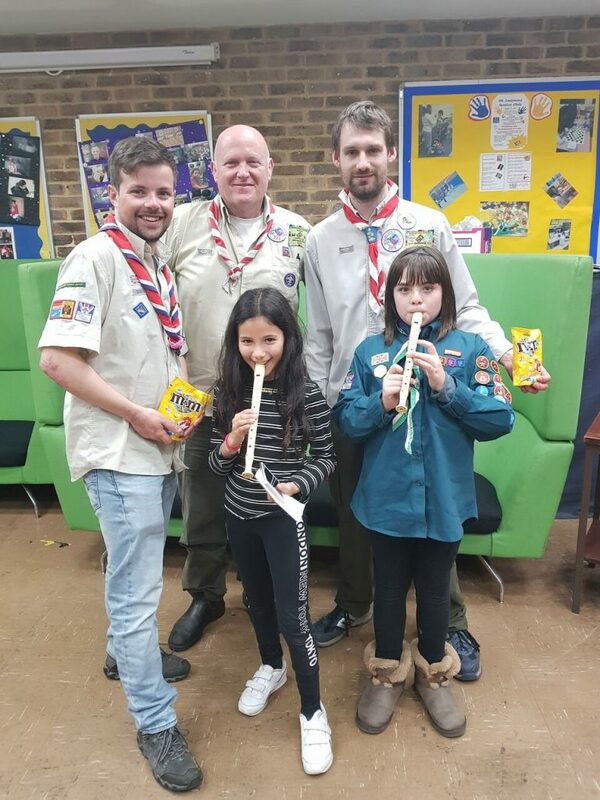 We were sad to see them go but looked forward to seeing them again at another reunion soon. 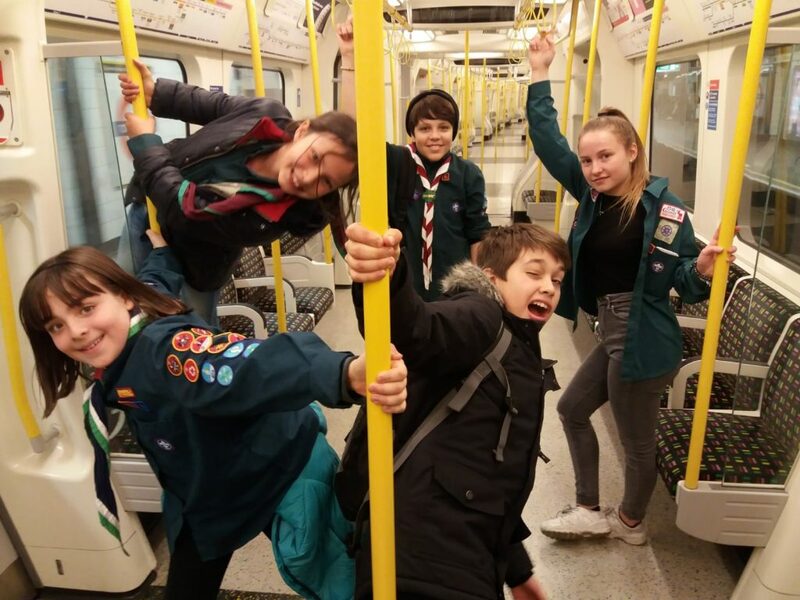 After our farewells our troop headed off to catch the Thames clipper boat which we took to Greenwich Village. 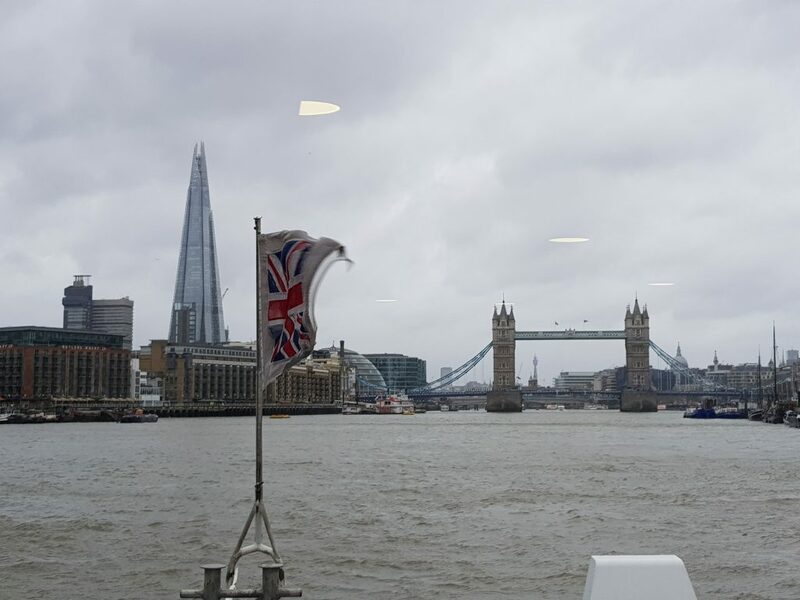 The views along the Thames were spectacular and after a short trip we arrived at our destination. 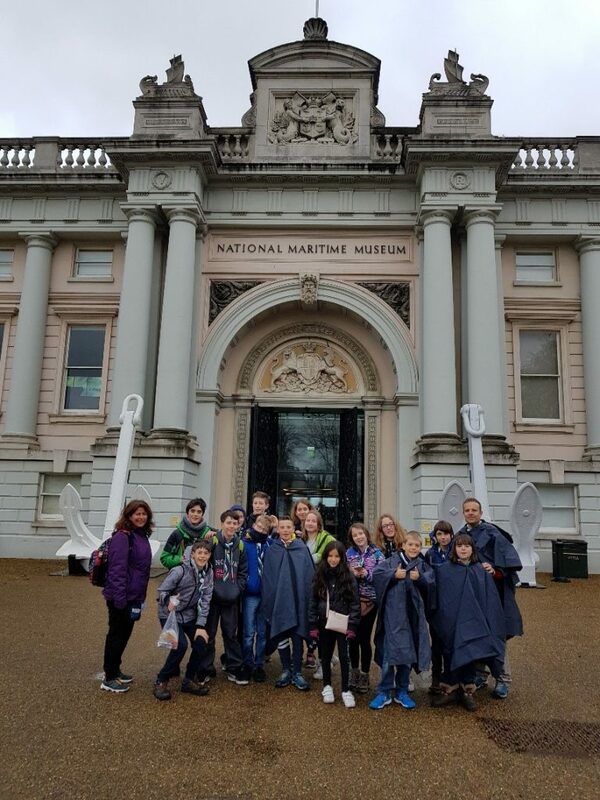 We saw the Old Royal Naval College buildings, the Queens House and went into the Maritime Museum. It was a very interesting Museum with some great exhibits. It was child friendly and interactive. 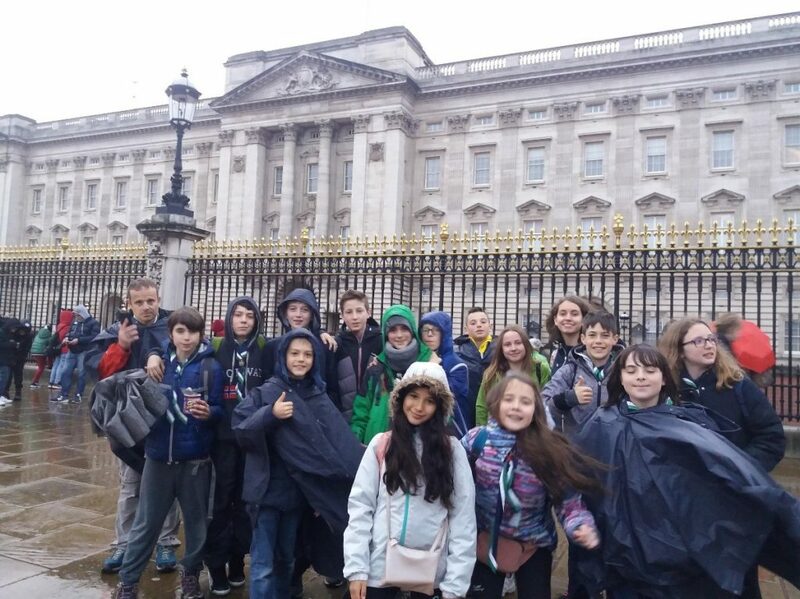 We stopped to eat our packed lunch there and then continued up the Hill through Greenwich Park to see the Greenwich Meridian Line. There, next to the Greenwich Observatory we had some great views across the river to the Modern Part of London. 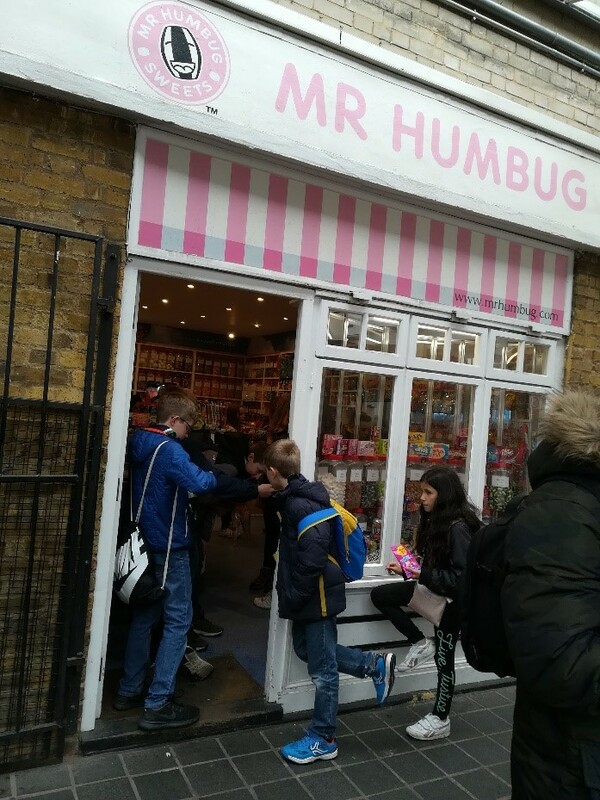 On the way back to the pier we walked through the Greenwich Market which was established in 1737, where the kids were thrilled to find a sweet shop and one even bought the famous Harry Potter Butter Beer. We passed the Cutty Sark and made our way back on the boat. We then took the boat back and got off at Tower Bridge. 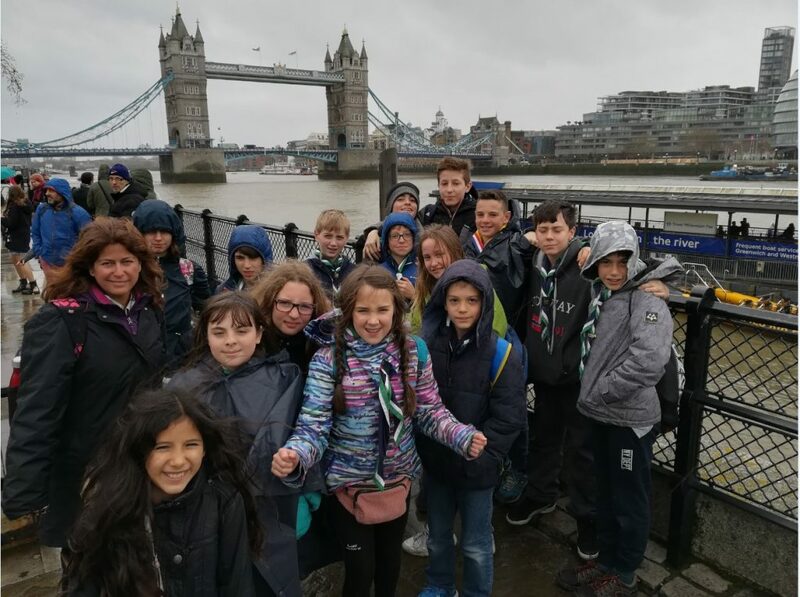 We stopped to buy some souvenirs and walked along the Thames past the Tower of London and across the famous and beautiful Tower Bridge. 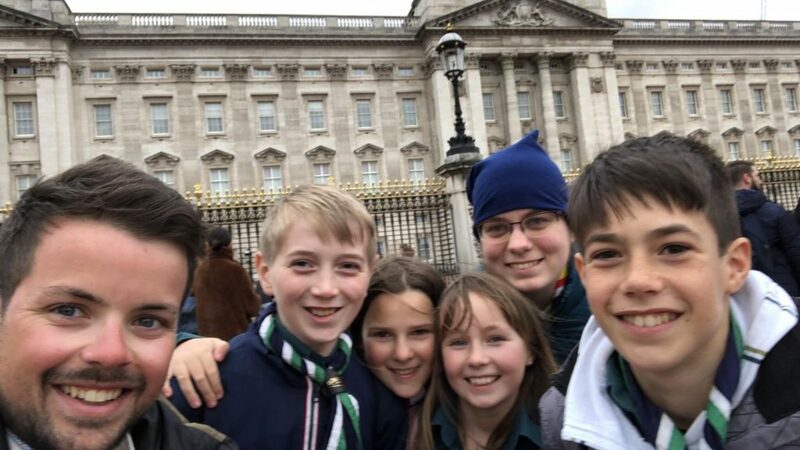 Now on the Southbank we stopped at the HMS Belfast Naval Ship where the kids were by that time exhausted and voted to see Buckingham Palace and go back to the accommodation. 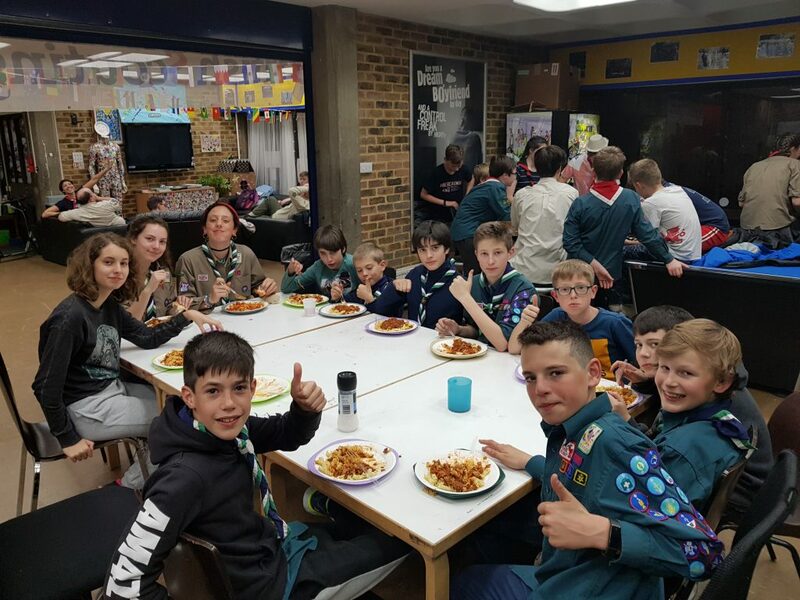 Back at the center the Scouts had time to play around, relax, and have some pizza. 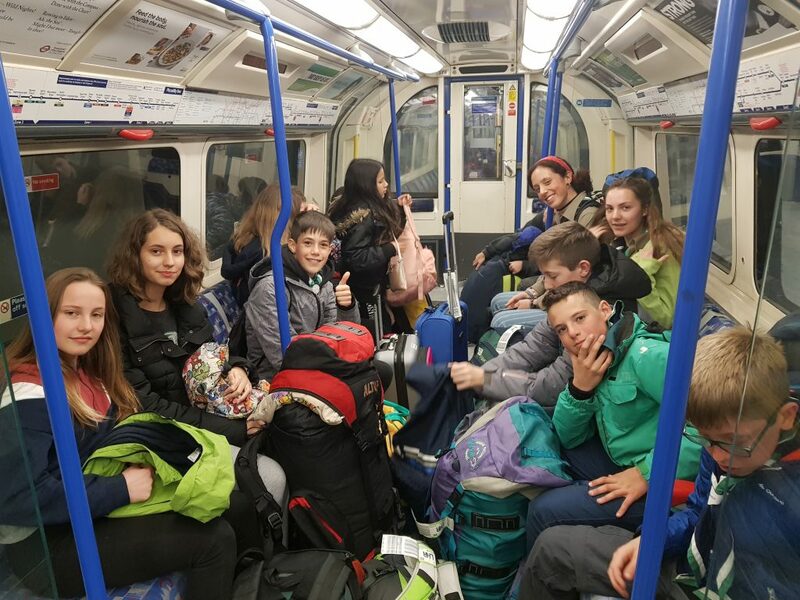 That evening was an earlier night as they had to be up for 4h the following morning to catch the 7.30h flight back to Madrid. 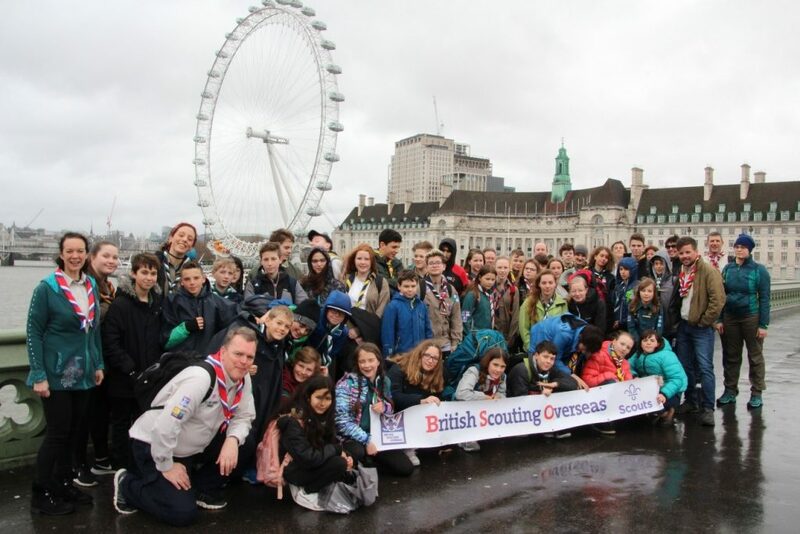 The trip was memorable and I am sure the Scouts will have it in their memory for many years to come.